Select from the product categories and discover a world full or exquisite gourmet flavor. Some of you may have been wondering who you have to thank for the steaming cup of gourmet deliciousness that revives your spirit each morning. Well look no further. It is our pleasure to introduce you to the mastermind behind our greatest blends. 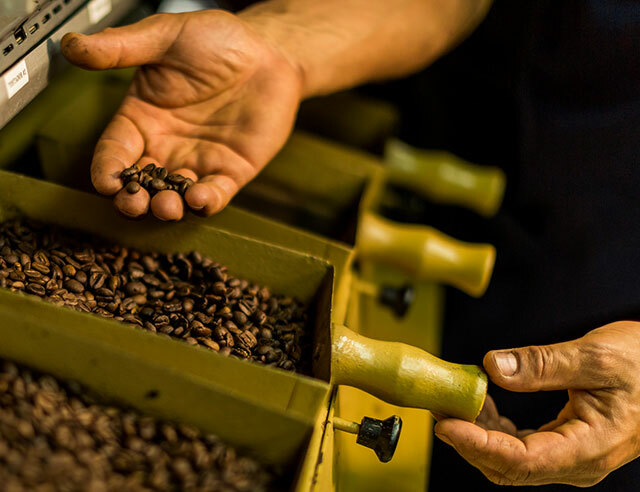 Don Miguel has spent last thirty years perfecting the art of coffee roasting and is personally responsible for every cup of deliciousness our beans produce. While you’re giving thanks, you should also thank Don Miguel’s dad, who passed on his love of coffee to his son after spending years working as a capataz for coffee farms in Costa Rica and Guatemala. Don Miguel first came to Britt as an assistant in the laboratory and when the position of Master Roaster opened up, he jumped at the opportunity to craft our coffee. 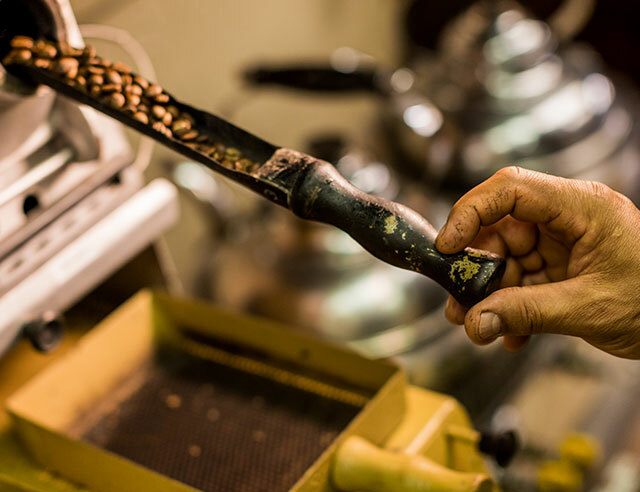 Although Don Miguel took over roasting in the dark ages before the internet, he worked to improve his craft by spending hours studying and talking with the kind folks at the coffee institute in Costa Rica. When he started, Cafe Britt only needed Miguel to toast four “badges” or runs in a small toaster. Today he roasts on average almost a ton of coffee per day. It’s no shock that our Master Roaster begins his day with a cup of coffee (underneath he is just like us: a coffee lover). Personally, he prefers light roasts. 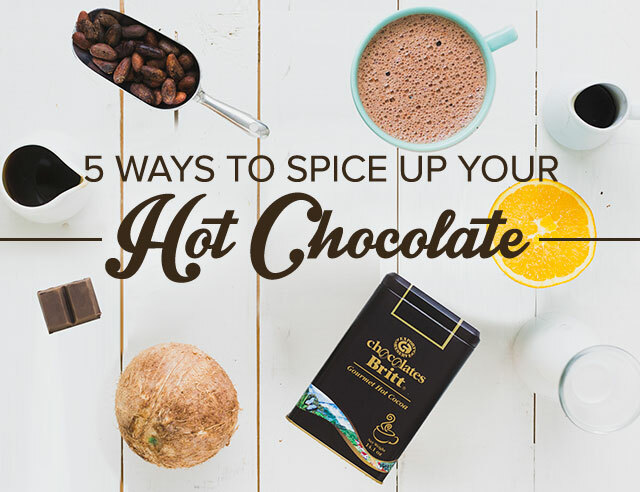 His favorite is the Tres Rios because of its flavorful notes that exist, of course, in thanks to the perfectly roasted beans. After sipping his morning cup of joe, Don Miguel heads to the toaster and the real fun begins. First, he must ensure that the green beans are ready to be roasted and check the schedule to see what blend of coffee he is going to be cooking for the day. Organic? Dark roast? One of the best parts of his job is that every day is different. 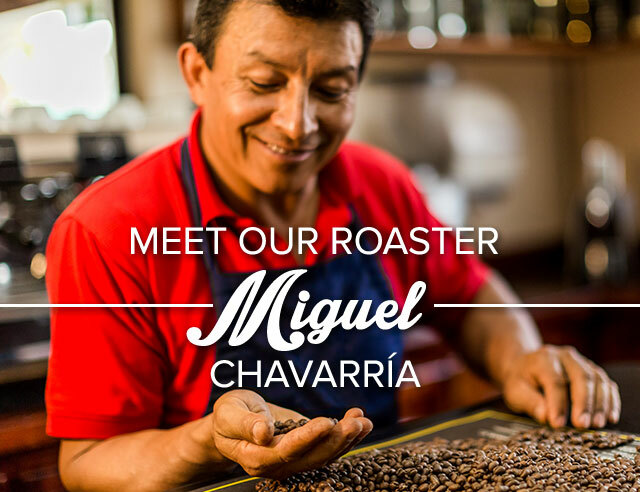 Once he has determined what needs to be roasted on that day, Don Miguel adjusts the roasting levels to achieve optimum flavors. He always has his schedule in hand to track the approximate time that each coffee is being roasted so that every bag has consistent flavor. 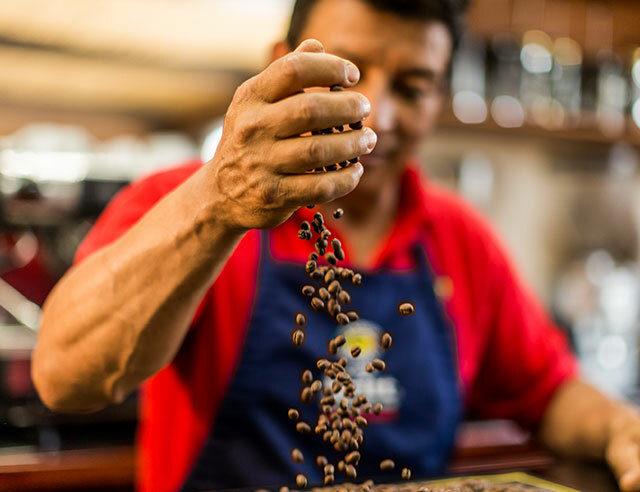 Don Miguel’s years of experience come in extra handy when dealing with Costa Rica’s climate, which can change on a minute-by-minute basis. 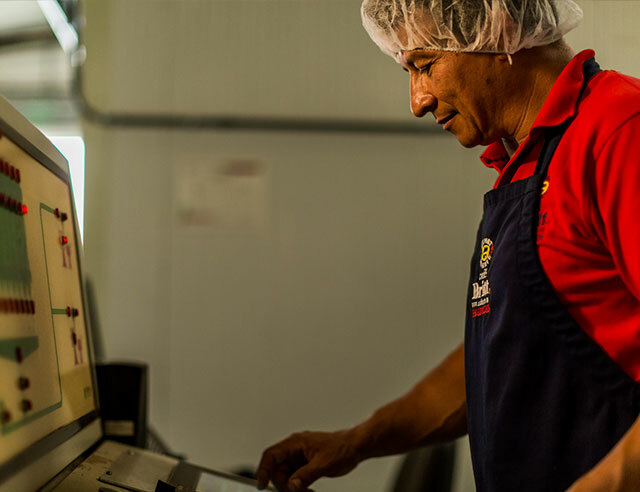 Subtle changes in the atmosphere, wind, and outside temperature require subtle adjustments to the roasting time and Don Miguel checks the weather constantly to make sure the beans are roasted correctly. “You have to roast with instinct!” He says. 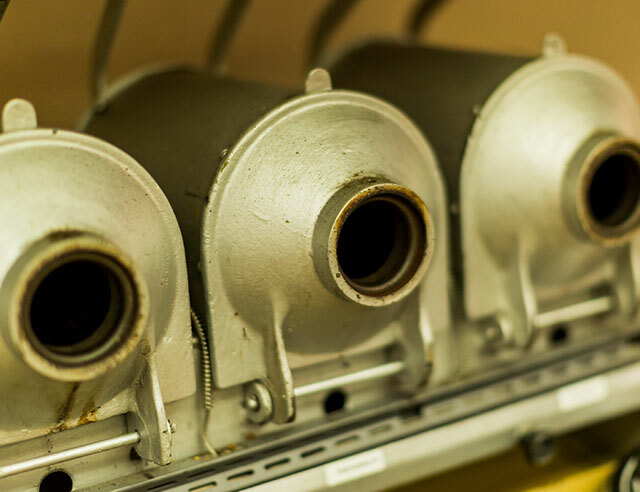 Machines are important, but in the end it’s Don Miguel’s personal knowledge and experience that make the difference. When Miguel determines the roasting is finished, the coffee is cooled and then ready to be bagged up, sealed and delivered to our customers! 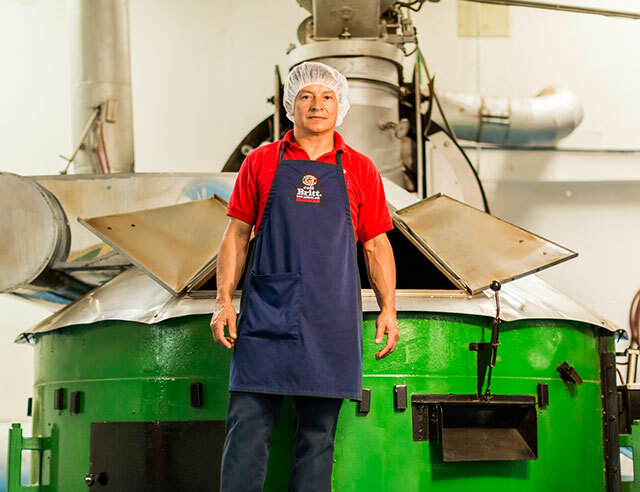 New technologies and standards are always being introduced, but at the core, Don Miguel says coffee roasting has not changed much since he begun. 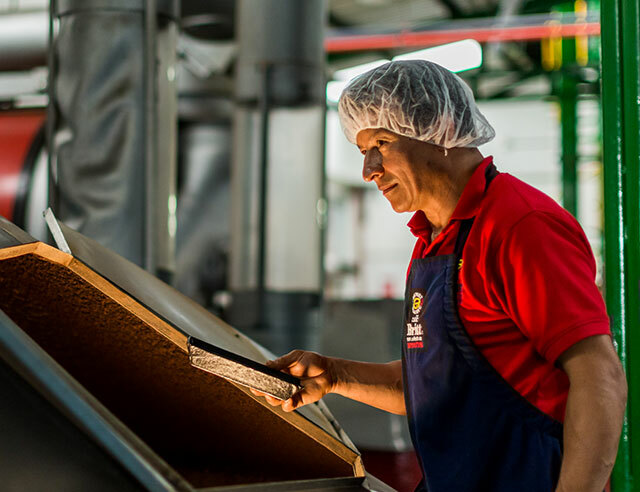 “The process used by our grandparents to roast coffee is the same that is now used in Café Britt, we only changed the technology,” says Don Miguel. 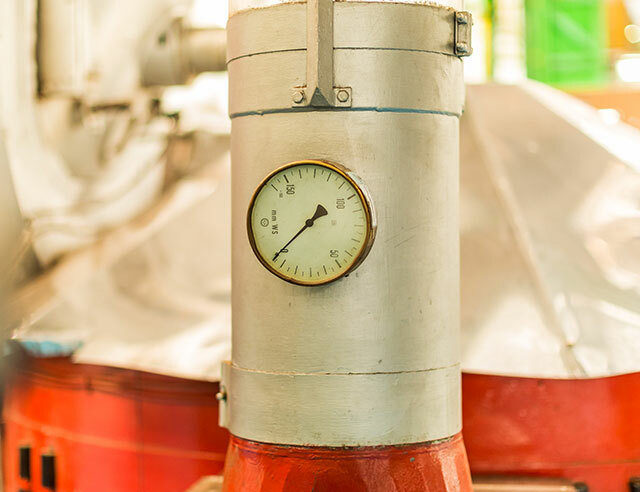 Coffee roasting is a constantly evolving learning process that requires exploration and improvement—areas Don Miguel excels in, and we could not be more grateful to him for using his thoughtful and precise roasting skills to maintain the excellence of our coffee. 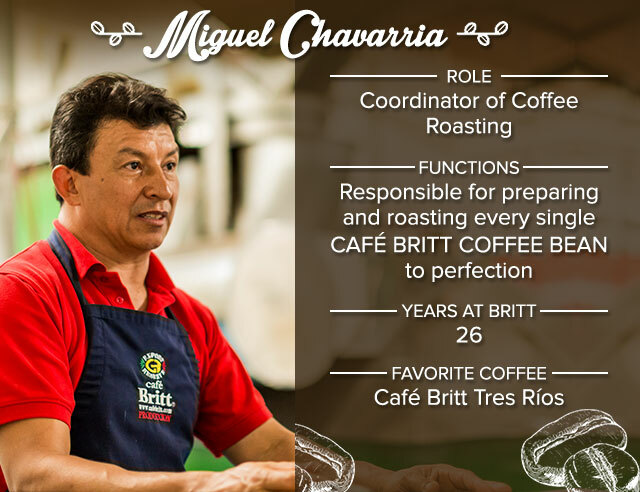 Next time you take a sip of your favorite Café Britt blend take a minute to appreciate Don Miguel, the Master Roaster who makes the magic happen.